I couldn’t be more of a square; this is the assumption I’ve made having read the life of Ventura Hells Angels charter president George Christie. The man is, was, essentially forever be an outlaw…which is a term he clings to and wears as an all-but-literal badge of honour. This is the autobiography of the former President of the Ventura, California branch of the Hells Angels. As far as life stories go, there are few out there with more colour. Keith Richards’ Life, perhaps. So yeah, here’s me, who could not be more suburban and middle class and sheltered, being drawn in to the vivid, almost cinematic world Christie paints in these pages. The title references his exile stemming from his expulsion from the Angels, as well as playing into the notoriety established by the club from their disastrous stint as security at the Rolling Stones’ Altamont gig (events which pre-date Christie’s time as an outlaw biker). The comment, “I can only imagine what you’ve gotten away with over the years, Mr Christie,” rings rather true. If you believe every word of his, Christie never did so much as jaywalk. So, you’d assume some degree of embellishment has taken place. Christie’s storytelling is compelling. He paints a captivating, fascinating portrait of this world he once inhabited and does an excellent job in articulating the various codes, unwritten rules and “mentality” of the outlaw biker set. 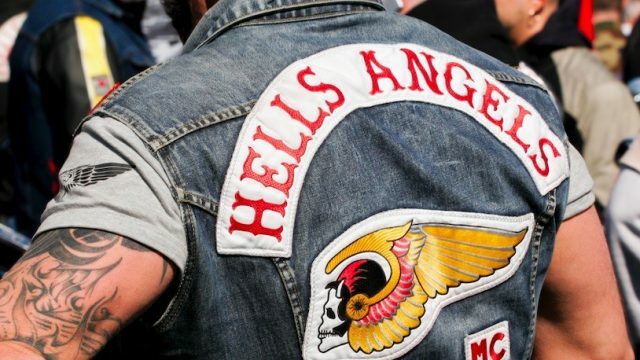 A fascinating insight it is, especially when you see that at the end of the day, even the Hells Angels are an incorporated body – bound, and often hindered, by bureaucratic processes. There’s a moment in one of many occasions where Christie found himself in front of a judge, where the comment was made along the lines of “I can only imagine what you’ve gotten away with over the years, Mr Christie,” which rings rather true. If you believe every word of his, Christie never did so much as jaywalk. So, you’d assume some degree of embellishment has taken place. You can also only assume he may have had help in stitching this tome together, but on the surface, Christie is a great writer – a true-to-life storyteller who makes this world of outlaws, bikers, thugs and off-the-grid bad boys seem so “romantic”. You’ll never find me anywhere near anything with “Harley Davidson” written on it, but I had a hard time putting down Christie’s grandiose, suave autobiography. So it’s probably slanted? So what? I kinda loved this book, to tell the truth. Get your motor running, indeed.